Dr. O. Carl Simonton is an internationally acclaimed oncologist, author, and speaker who is best known for his pioneering insights and research in the field of psychosocial oncology. After having earned his medical degree from the University Of Oregon Medical School, he completed a three-year residency in radiation oncology. It was during this time that Dr. Simonton developed a model of emotional support for the treatment of cancer patients... an approach that introduced the concept that one's state of mind could influence their ability to survive cancer. Dr. Simonton has contributed the full length version of his acclaimed seminar, Hope and the Healing Journey, which you may view on this website. 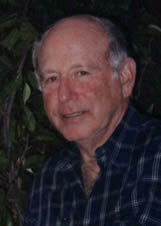 The late Dr. Harold Ravins has a rich history in biological dentistry. Dr. Ravins served as a faculty member at the USC Dental School for 28 years, and has been in private practice for 46 years. He has pioneered the development of many procedures used in dentistry today, including his most recent contribution, the coordination of laser treatment in dentistry without the need for anesthesia.